Windshield wiper motor to firewall gasket. 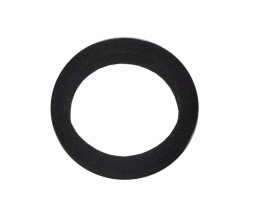 2-1/16" inner diameter x 2-3/4" outer diameter - PLEASE COMPARE TO ORIGINAL - correct for many models but not all. Die cut to factory specifications. MADE IN THE USA.